If you are wondering if you should schedule the bachelorette and bachelor party on the same day, you are hardly alone. Many have asked this question, whether getting married for the first, second, third, etc. time. Review some of the benefits of holding bachelor and bachelorette parties on the same day to determine if it’s right for you. Consider throwing the bachelor and bachelorette parties on the same day if it works out schedule-wise. For example, if you most of your friends are couples, throwing the events on the same day will work out for a lot of people. This is especially true if most of the guests are couples AND from out-of-town. Enjoy getting the parties taken care of in one weekend. You will both be busy celebrating instead of one you sitting at home focusing on wedding tasks and wondering how much fun the other is having. Discuss whether throwing the bachelor and bachelorette weekends on the same day a good idea if most if not all of your guests are from out of town. 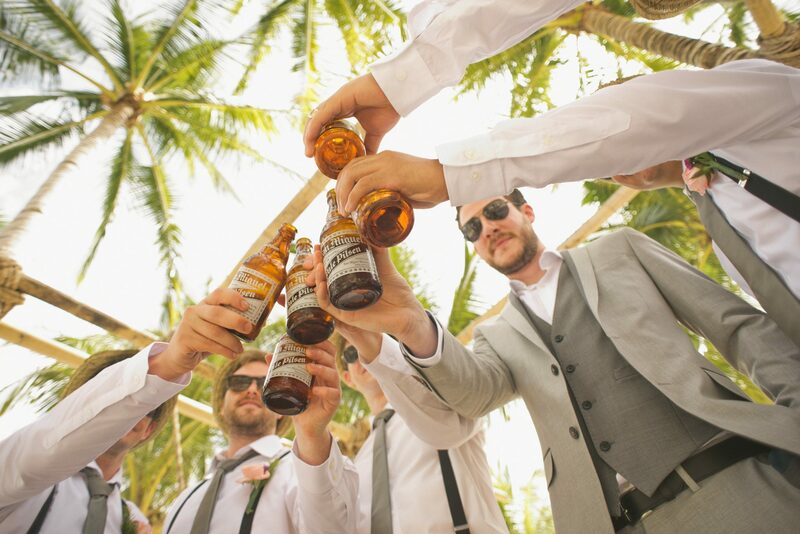 For example, you could have the bachelorette and bachelor parties on Thursday night, the rehearsal dinner on Friday night, and the wedding on Saturday. That gets everything done in one block of time so no one has to take off more than one weekend. If you simply do not want to have your parties on the same weekend, don’t. Do so only if it makes sense for your wedding festivities and is one of the best ways to ensure everyone has a great time. There’s nothing taboo about it if you decide to do the same-day thing, so don’t worry about that! Have fun! Have any other bachelor and bachelorette party tips to share?